This is my sweet and simple secret for learning how to be a good salesman! Over the last 25 years more than 350,000 salespeople have been interviewed to find out what it is they think about most of the time. Then their incomes have been compared with their thought patterns to determine what thoughts go along with the highest incomes. And do you know what the most successful salespeople think about most of the time? It’s simple: they think about what they want and how to get it. They think and talk all day long about their goals and how to sell more. And because the more you think about your goals, the more positive and enthusiastic you become, the best of the best seem to sell five and ten and twenty times as much as the average salesperson who thinks about his or her problems most of the time. This is so important that you could stop reading right here and you could go out and be a big success if you could just develop high levels of ambition. The most successful and ambitious people see themselves as capable of being the best of the best. 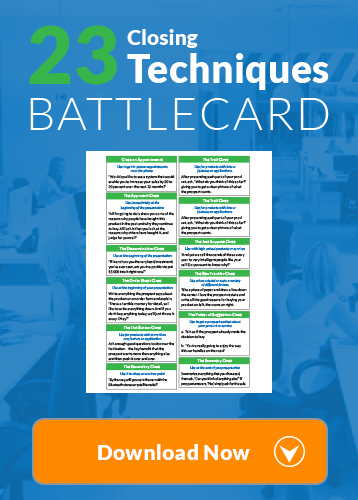 They know that the top 20% of salespeople make 80% of the sales, and they are determined to be among that top group and learn how to sell like the best. Perhaps the most important first step you take in the field of selling is to make a commitment to excellence; to make a commitment to be the best in your field. Resolve today that you are going to join the top 10% and be the most successful in your industry in terms of earnings. Once you have decided to be the best in your field, get in line and stay in line. Keep putting one foot in front of the other. Keep developing one new skill and ability each day, each week, and each month that moves you forward. There is nothing in the world that can stop you from becoming one of the best and highest paid people in sales if you will just get in line and stay in line. Here is the turning point in your life. 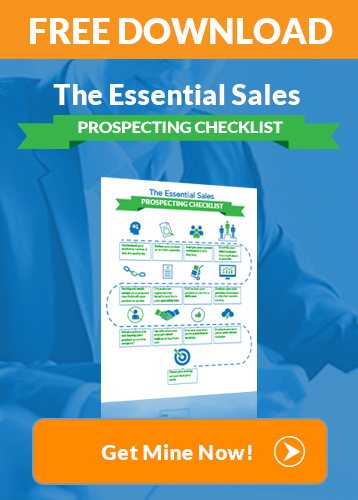 Make a decision to be the most successful salesperson you know. So you should repeat to yourself over and over again the wonderful words, “I’m the best, I’m the best, I’m the best,” until those words come true in your life. And they surely will if you don’t give up. The most successful salespeople work continually to confront the fears that hold most salespeople back. The two major fears that stand as the greatest obstacles on your road to success are the fear of failure, and the fear of criticism or rejection. As it happens, it’s the fear of failure or rejection that hold’s you back. It is the anticipation of fear or rejection that paralyzes you and holds you back from doing what you need to do in the first place. You have to remember that everyone is afraid. The difference between the hero and the coward is that the hero is brave just a couple of minutes longer. Everyone you meet is afraid of failure and rejection. But the brave person confronts the fear and does it anyway. The average person on the other hand, moves away from the fear and avoids the fear-causing situation. For more motivation, be sure to check out these sales quotes for top sellers! And here’s the good news. The more you repeat the words “I can do it,” the lower are your fears and the higher is your self-esteem and self-confidence. As you say the words, “I like myself. I’m the best of the best. I can do it.” you raise your self-esteem and self-confidence to the point where you feel unstoppable. This is the mindset you want to have to learn how to sell more. The best of the best salespeople believe in their companies. They believe in their products and services. They believe in their customers. Especially, the most successful salespeople believe in themselves and in their ability to succeed. There is a direct relationship between your level of belief in yourself and the goodness of your product or service and your ability to convince other people that it is good for them. Sales has often been called “the transfer of enthusiasm.” The more enthusiastic and convinced you are about what you are selling, the more contagious this enthusiasm is and the more your customer picks it up and acts on it. What we also know is that the more you love your work, the more committed you are to your company and to your products and services, the more you will naturally and honestly care about your customer and care about helping him or her to make a good buying decision. And since you become what you think about most of the time, keep repeating the words, “I love my work! I love my work! I love my work!” over and over again. You can be a good salesman -or at least a better one – just by changing your mindset. All of the most successful salespeople like themselves and love their work. And their customers can feel it. As a result, the customers want to buy from them, and buy from them again, and recommend them to their friends. 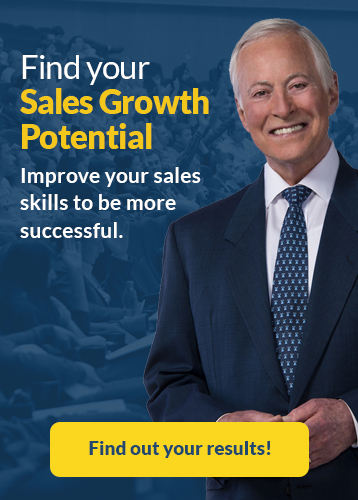 Thank you for reading this post on how to sell more by learning the top qualities of the most successful salespeople. Please share with your friends if you enjoyed this article!